I'm sorry I have been so silent. 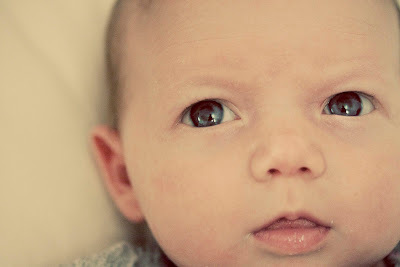 I went on unexpected blogging maternity leave trying to get used to this complicated little girl. I'll be adding my birth story soon. She's six weeks right now. I am loving being a mommy, but it is not without its trials! We thank God for such an amazing blessing! Here's one with her eyes open! I hope many more blog posts are to come! Congratulations on a beautiful little girl and on becoming a mommy! She is beautiful! Congrats. :) By the way, I love her name! Congrats!! She is wonderful looking!! Enjoy! I've been waiting and waiting for a picture of her!! She's SOO gorgeous! Can I come babysit? ;)I love her name too. When you told me it started with an A, Amelia was the only A name I could think of that seemed perfect for you. ps. I was in Joann's today so naturally I was keeping my eyes open just incase we happened to be there at the same time! Keri, what a precious little darling, and look at those fists! Great photography creativity. Looking forward to your birth story - I always find them fascinating! I'm home recuperating from surgery so have been looking for some good movies to watch - I'm going to check out Bleak House. YEEEEEEEEEEEEEEEEESSSSSS!!!! She's beautiful! God bless your family! She's so precious, Keri! 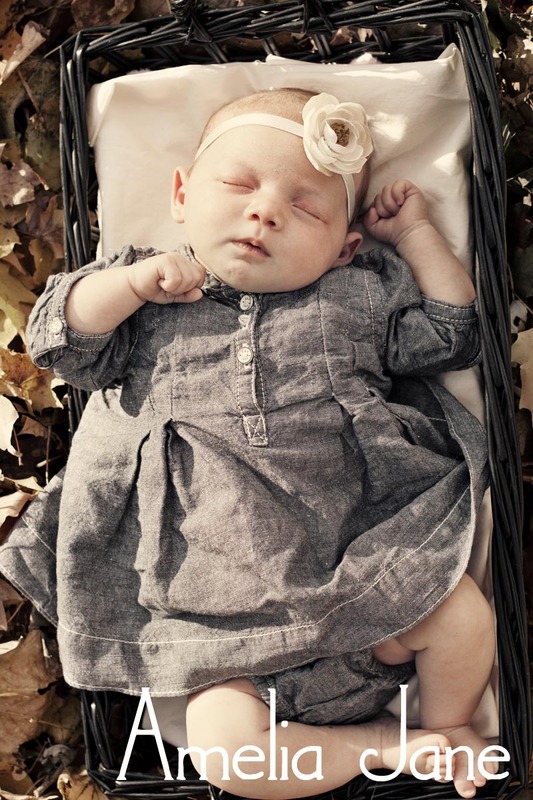 I'm so glad the Lord has blessed you with such a sweet little lady, and I hope that some of the challenges of new parenthood will be smoothed away soon! She is beautiful, and what a lovely name! I hope you're getting into the swing of things with her now. I know it took me a while to somewhat figure things out with my first baby. Congratulations! She is beautiful and has a beautiful name! I just have to stop again and say how positively adorable she is! And such a darling name!!! Congratulations Keri! Congratulations Keri! She is beautiful! Aww Keri! She is adorable! I figured it was about time we'd get to meet your precious little girl. I think she looks just like her daddy! I too love her name! I couldn't leave your blog without saying how beautiful your new daughter is! Congrats!